The President of India, Shri Pranab Mukherjee attended the Memorial Service in honour of Dr. Nelson Mandela, former President of South Africa today (December 10, 2013) at FNB Stadium, Johannesburg, South Africa. 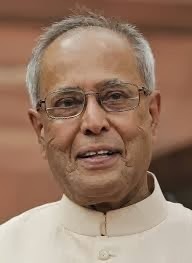 Speaking on the occasion, the President said that for India, the passing of Nelson Mandela represents the departure of a venerated elder, a great soul. He stated that Madiba lived a life of sacrifice and privation as he pursued a seemingly impossible goal for his people – and the world is richer for his legacy. We, in India, have long admired him - and all that he stood for - and we will always cherish his friendship and love for our people. The President said that, to India, Nelson Mandela’s life and struggles - which represented ‘hope’ for the downtrodden in South Africa and all over the world, remind us of the principles that the father of our Nation, Mahatma Gandhi, stood for. Madiba often acknowledged the influence of Mahatma Gandhi and the first Prime Minister of India, Jawarharlal Nehru on his own thought process. It is no wonder then that we, in India, attach great sentiment to our unique friendship with the people of South Africa.